I am a Toronto-based fashion designer with a design degree from Ryerson University and a Fine Arts diploma from the Arts York program. 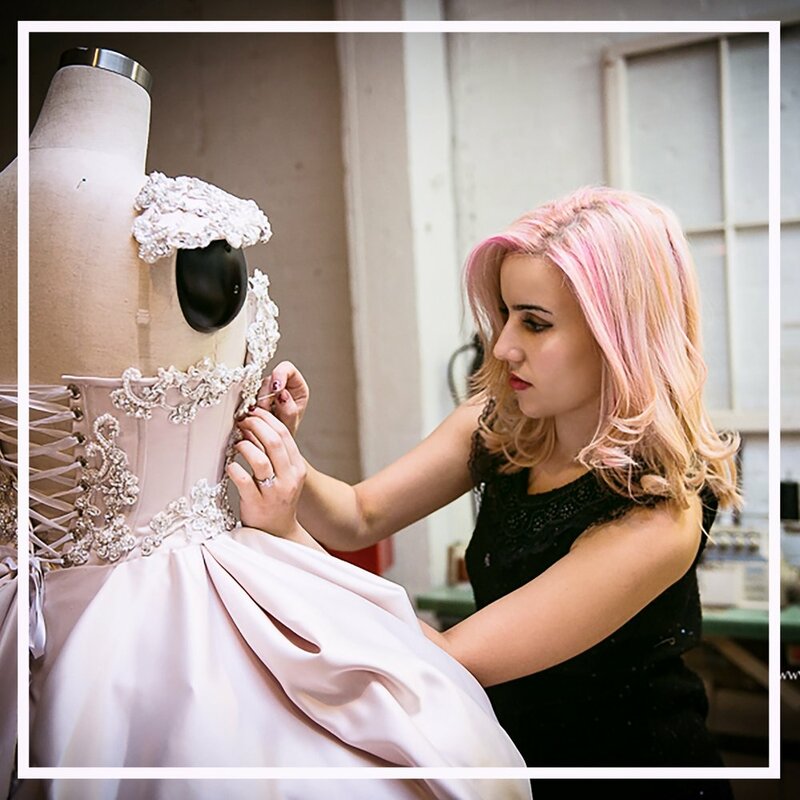 I started my journey as an entrepreneur making custom wedding dresses; now, I work mostly on couture style gowns that are inspired by, or represent, social and ethical issues. I advance my skills as a maker by practicing couture techniques while also engaging my Iranian, cultural roots through both the designs and statements of my pieces. I strive to push boundaries, make the familiar strange, and illuminate and elevate marginalized narratives. Thank you for you inquiry. I’ll be in touch shortly!